Working as a male tutor in the US can be difficult sometimes. Part of the beauty of traveling around the world is having the opportunity to experience different cultures and customs. While there are occasional pitfalls, the process of interacting with and learning about the cultures of other societies is a highly rewarding experience. Sometimes, however, these interactions act as a flashlight and bring about a real awareness of the strengths and weaknesses of a particular society. Me: Hello! Could I speak with (insert name)? Me: Yeah, my name is Shawn. You had sent me an e-mail through Craigslist inquiring about a Spanish tutor for your daughter. Her: Oh! Well, uh… No offense, but I’m looking for a female. I’m sorry. So how does this interaction shed light on a strength or weakness of a society? It doesn’t become clear until I compare this interaction with my experiences in Madrid, Spain. I spent two years in Spain teaching English to people as young as six years old and as old as sixty years old, and I did so in a wide variety of environments. One of the most common environments to teach Spanish youth was and still is the bedroom. I remember feeling awkward and unsure the first few times I taught young students—especially females. The parents would think nothing of ushering me off into the bedroom of their son or daughter and closing the door afterwards. Opening the door again would more often than not surprisingly end with another solid closing by the parent minutes later. After a few months, I realized there were fundamental differences in the levels of safety, security, and paranoia between Spaniards and Americans. Spaniards are overtly sociable; Americans are subtly reserved. Spaniards seem to feel safe in their homes; Americans often appear paranoid in their homes. Spaniards seem to trust adults in positions of authority to be around children; Americans seem to be wary of adults in positions of authority being around children. Being a teacher or tutor is difficult. The experiences I had in Spain provided real awareness of how difficult it is to be a teacher or tutor in the United States. In the U.S., all it takes is one poorly worded statement or one misperceived action to get branded an awful teacher, or even worse, a sexual predator. That paranoia seemed significantly less prevalent—almost non-existent—in Spain. And now, I have already experienced that reality of paranoia laced throughout the U.S. culture. This morning, my credentials meant nothing, and my gender meant everything. So that is what it’s like to be discriminated against? While discrimination by ethnicity or gender is nothing new to the world, it still hurts when it happens to you. And I’m sure it won’t be the last time it occurs. 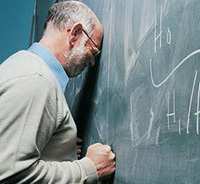 Tagged with: discrimination, male teacher, Spain, tutoring, U.S.
Wow, that is sad but true. People do tend to label you before getting to know you in America. I know this is not the point of your post, but I also have noticed the trend that women are being more sought after by employers. After going back and rereading this post and then your comment, I realize my opinion hasn’t changed. In fact, I feel more strongly about this now. I rewrote a news article a while back about how more children are reporting sexual assualt by women in the U.K. The article made sure to emphasise that the incidents weren’t increasing but the reporting of them was. It’s a reminder to me that the belief that men are to be feared as tutors is junk; women are just as capable of abusing a position of power.